There have been many newspaper articles extolling the use of smart meters as a way of saving energy. Do you recommend getting one of these fitted? The first thing to understand about “smart” meters, is that they are not smart at all. They are simply fitted with technology to communicate with the energy suppliers, using radio signals or mobile-phone networks, to provide daily meter readings. With customers’ permission, this might be upgraded to half-hourly readings. This will benefit the energy suppliers – especially electricity providers – as they will be able to match power generation much more closely to consumption. At present, more electricity has to be generated than is consumed, leading to waste. However, there is no suggestion that any savings will be shared with customers. In fact, the cost of installing smart meters in every home – at least £12 billion – is already being passed on to customers through higher bills. 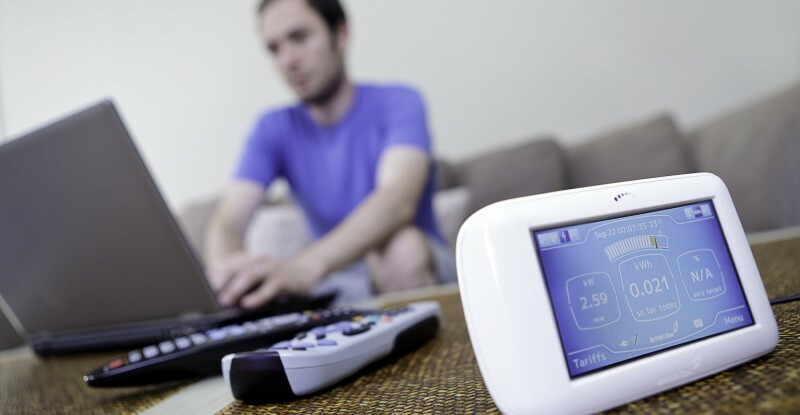 Smart meters do have the technology to feed information to an “In Home Display” or IHD, a screen which will show how much energy is being used, and what it is costing. The idea behind IHDs is that most customers have no idea how much energy they are using, or how much it costs. This might sound patronising, but I can confirm from the many readers’ letters I receive, that it might not be far from the truth. However, fitting IHDs is unlikely to improve this situation – an initial trial showed that, after the first few days, 96 percent of people never looked at their IHD again. If you want to cut your electricity use, what you can do is turn the light off when you leave a room, don’t leave your TV on stand-by at night, or when you’re out of the house, and don’t use high-temperature washes in the washing machine (especially if yours is cold-fill only). This is common sense, and you shouldn’t need an illuminated display to tell you to do it. The one area where smart meters have the potential to benefit customers is for those who rarely read their meters, and make monthly “budget” direct-debit payments. These people are usually paying in advance for more energy than they actually use – in effect giving interest-free loans to the suppliers. Smart meters should theoretically put a stop to this. However, you can bet that the energy industry will find a way of compensating for this, probably by introducing higher tariffs for customers who opt out of the budget schemes. For me, the most worrying thing about smart metering is that it gives the energy suppliers the chance to introduce what they call “Time of Use” (ToU) tariffs. Once everyone is on a smart meter (planned for 2020, but currently behind schedule), the suppliers will be able to introduce higher prices at peak times. This is actually discussed in a paper from the Department of Energy and Climate Change (DECC). Supposedly, this will discourage customers from using energy at peak times. But for most people there will be no option – especially for the working population, and families. So energy is likely to be more expensive between 7am and 9am, say, when people are boiling the kettle and having breakfast, and between 5pm and 8pm, when they are cooking their evening meals. Suppliers could even raise the tariff for specific short periods – at half-time during televised football matches, say, or during the ad breaks in Coronation Street. For me this is worrying, with the potential to penalise poorer members of society.